While he produced excellent bands at all schools the pinnacle of his career as a band director was definitely during his tenure at Memphis Central High School. It was there that he was afforded an array of talent, by virtue of the city wide enrollment as Memphis’ premier academic high school, which enabled him to develop the award winning band program that became the object of admiration and respect among his peers. He was a demanding director who would not hesitate to dismiss a member who refused to “get with the program”. However, he was known as a gentle and kind person who had a genuine affection for his students which allowed for a strong bonding with them. This was evident in the frequency with which many of them would come to visit at his home, particularly on weekends and in the summer. Professor Edward L. Graves was born in Starksville, Mississippi in 1940. He Graduated from E.T. Hawkins High School in Forest, Mississippi in 1958. He received his B.S. in Music Education from Tennessee State University in 1962 and completed his Master of Science at the University of Illinois in 1965. Professor Graves began his teaching career in 1963 at the Tuskegee Institute in Tuskegee, Alabama. From 1965-1969 he taught at North Carolina A&T State University before moving to Shaw University in Raleigh, North Carolina where he was named Director of Bands in 1972. 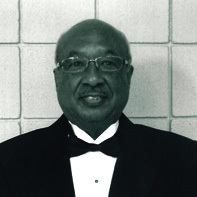 Professor Graves held that position till 1979 at which time he became an associate professor of music and Director of Bands at Tennessee State University in Nashville, Tennessee. Under Professor Graves’ leadership the Tennessee State University Band received numerous honors and citations. In 1983 the band was a featured performing ensemble at the CBDNA national meeting in Atlanta Ga. The marching band was a guest performer at the Kennedy Center – Washington, D.C. in 1997. The Tennessee State University Band marched in both the 1993 and 97 Inaugural Parades for President Bill Clinton. In 2003 they were named the official band of the Tennessee Titans football team and in 2006 performed with the Nashville Symphony as they featured the music from Porgy & Bess. Professor Graves’s is a recipient of the Presidential Distinguished Service Award and the NAACP Image Award. He has received commendations from TN Governor Phil Bredesen and Nashville Mayor Bill Purcell. 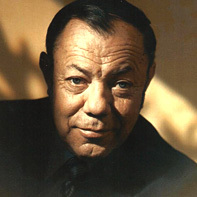 For over thirty years Professor Graves provided a positive musical atmosphere for countless students, redefined the roles and expectations of his musical groups, and gained a reputation for superior musical quality and professionalism. 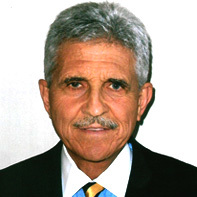 Dr. Thomas R. (Ric) Best received his undergraduate degree from the University of Tennessee and was awarded his Master’s Degree in Music Education in 1976. He began his teaching career in 1967, at Cocke County High School in Newport, Tennessee and remained there until 1971. At this time, Dr. Best became the director of bands at Lenoir City High School in Lenoir City, Tennessee. This was the beginning of a career filled with success and achievement. During his tenure, the marching band received 67 superior ratings. His hard work resulted in 13 undefeated seasons and 64 grand championships. His concert bands were legendary. While under his direction, the Lenoir City Band received 22 superior ratings in the grade 6 classification, and won numerous concert band contests, including the prestigious Six Flags concert festival in Atlanta, Georgia. The Lenoir City Band performed at the Tennessee Music Educators Association, the Southern Division of MENC, and the Southern United States Concert Band Clinic. Dr. Best has been a presenter at numerous music conventions throughout the United States and has held the office of president for the ETSB&OA, TN Secondary Schools Band Director’s Association, and Phi Beta Mu. In his retirement, Dr. Best is still sought after as a consultant and clinician. 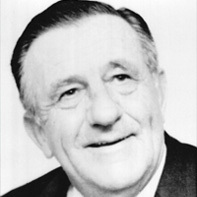 Tom Hewgley was born in Wilson County, TN in 1915. He died April 19, 1988 in Knoxville, TN after a distinguished career in both music education and commercial music. Tom entered Middle Tennessee State College in 1933 and graduated in 1936 with a major in music. He received the Master of Arts degree from Columbia University in 1944 and married his wife, Josephine, that same year. That union produced four children, Melinda, Bryan, Gay and Robert. Tom started the Columbia, TN Central High School band in 1938 and continued to direct this distinguished organization until 1961 when he left music education to establish Hewgley’s Music Shop in Knoxville. Hewgley’s had been established in 1944 in Columbia by his brother Jim to provide musical instruments and equipment to the people of Columbia and surrounding area. Prior to opening the Knoxville store, Hewgley’s had previously expanded to Nashville. Tom developed a superior band program at Columbia Central High School. It was the model program to which other programs aspired. Equally important during this period, Tom mentored many of the young band directors, not excluding this person making this nomination. He was unselfish with knowledge both personally and with the Columbia High School Band. Many times I called Tom and asked, how do I teach whatever concern I had at that time? I remember as a young band director, “How do I get my band to march with the maturity that Columbia did?” This applied equally to the concert band. Columbia was the band which we all tried to emulate. His was the dominant influence in Middle Tennessee during the fifties and early sixties. Tom was one, if not the first in Tennessee, to develop a private lesson program for the CHS students. Every Saturday he hired outstanding private teachers from Nashville to come to Columbia to teach the various instruments. For several years, Tom took the CHS Band to the renowned Gunnison Music Camp in Gunnison, Colorado. There he met and became associated with many outstanding directors from the United States, including the famed trumpeter, Raphael Mendez. Mendez became a close family friend and frequent soloist with the Columbia High School Band. William Revelli, the famed band director from The University of Michigan was another visitor to Columbia. The CHS Band marched in concert appearances throughout Tennessee. In addition to instrumental music, Tom was also proficient in choral music having served as choir director of the Garden St. Presbyterian Church in Columbia for thirty years. After moving to Knoxville, he became choir director at Erin Presbyterian, a position he retained until his death. During those years, Tom provided leadership formally as Vice President of the Tennessee Music Educators Association as well as other leadership positions in the Middle Tennessee School Band & Orchestra Association. He was also active in civic activities having been a member of the Kiwanis Club International and the Elks Club.